The Lullaby Trust is a charity that provides specialist support to bereaved families, promotes advice on safer baby sleep, and raises awareness of Sudden Infant Death Syndrome (SIDS). 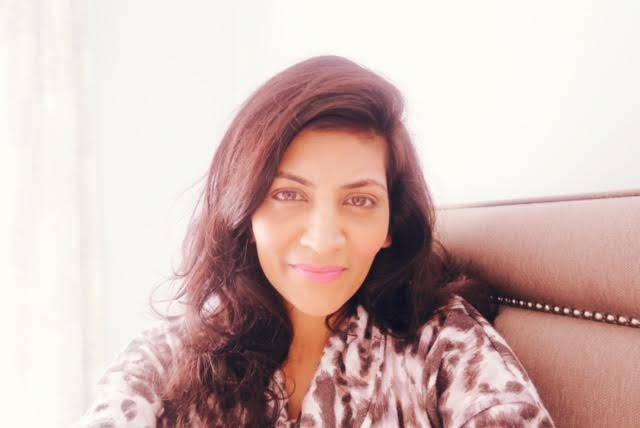 Their first ever national campaign Safer Sleep Week has been launched aimed at empowering parents and letting them know that there are pro-active measures they can take to reduce the chances of SIDS. 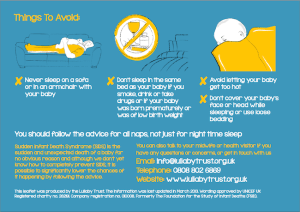 I remember the the term ‘Cot death’ was commonly used in the past but this has been abandoned as SIDS does not just occur when a baby is asleep in their own cot. 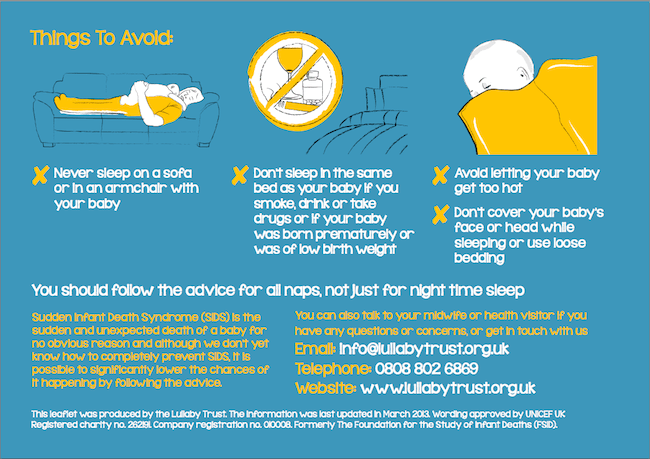 Sadly, SIDS affects around 270 babies and toddlers in the UK every year. Evidence shows there are steps parents can take to greatly reduce the chances of this happening. 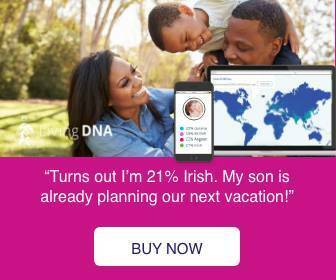 This is why this campaign is really important. I personally have never co-slept with baby Jay at night as he pretty much slept happily in his moses basket and then his cot when we moved him to his nursery. I did and still do love having cuddles with him on the sofa snuggled up all nice and warm but in my post natal phase due to me feeling so tired I would place him at arm’s length in the moses basket as soon as he drifted off. 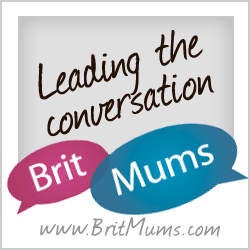 Around half of all UK mums co-sleep with their baby at some time after all is it one way to get more rest for part of the night or during the day especially if breastfeeding the baby. I have read heartbreaking stories and no parent should have to face such a tragedy. 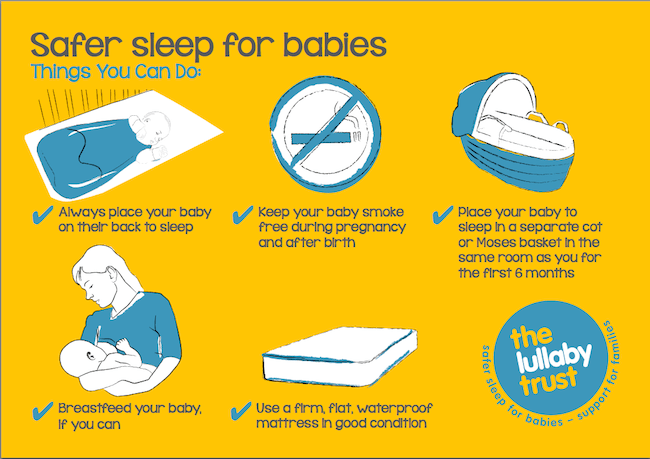 For new parents and parents to be there are free online resources from The Lullaby Trust for information on a number of topics. My personal view is that as every baby is different it’s worth taking some time to be informed whatever you choose to do. Take what you learn with what you think can work the best for you and your family and let us all keep our babies safe as possible.